MindKey allows you to manage all of your absences in one place – so that you can get the complete picture. MindKey features the capabilities of an easy to use and comprehensive staff annual leave planning and absence management software solution. Define the company-wide policies and leave rules for eligibility, leave accrual rules and carry forward rules. Use automated calculation of accruals and balances. Configure leave entitlements based on different employment categories or different locations. You will find it easier to track absences across your business, as well as focus in on the most important issues. Enable the employees to register the time-off requests via easy-to-use self-services. Managers get notified by e-mail and can approve the requests online. MindKey lets staff view historical and future leave increases, accruals and leave consumption information with a running balance total at a glance. Record and manage all types of employee absence both authorised and unauthorised; identify and pro-actively manage individual cases.. It is important to know who is on holiday, in training or out for other reasons when you are planning your time. Use the absence management and see who is out of the office today or any other day. 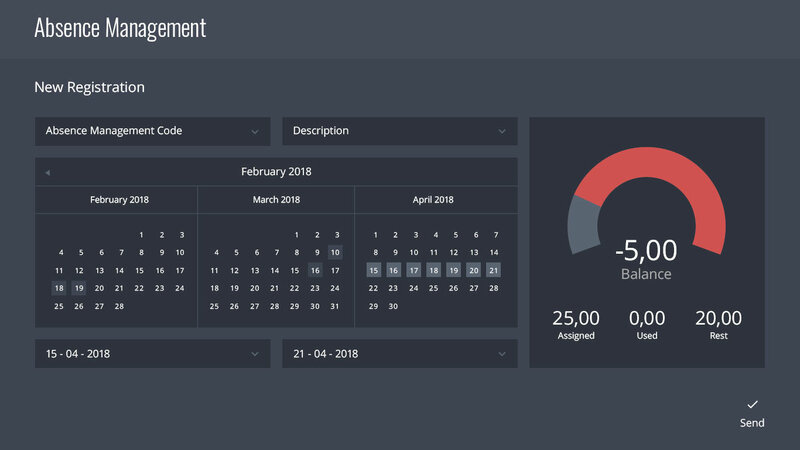 Graphical colour-coded calendar enables absence records to be viewed for a scrollable year, showing trends at a glance, including drill down for further details. 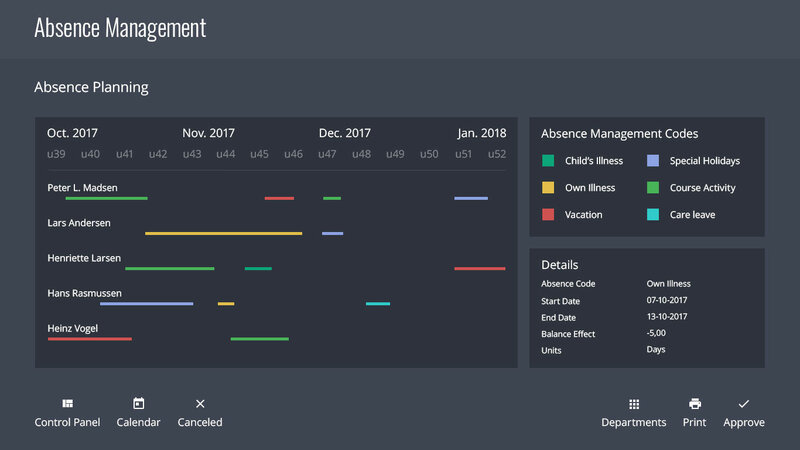 Dedicated absence management dashboards and powerful search capabilities let you review a wide range of absence-related information. Allowing your company to quickly monitor, analyse and manage the causes, effects and the cost and productivity implications of planned and unplanned absence. See the real time statistics and report on all the absence records, accruals and balances. 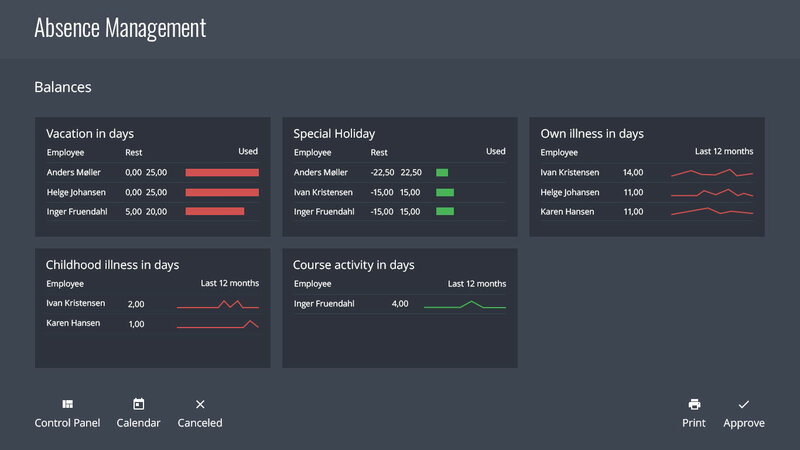 Managers benefit from similar dashboards and reports for their own teams, so they are able to make better-informed decisions, and take a more proactive approach to absence and holiday management.